Dubai: More than half of the UAE’s 9.4 million-strong population are currently employed in the private sector, according to the latest official data. A top representative of the UAE’s Ministry of Economy has revealed that as of September 2018, approximately 5.26 million people were on the payroll of private companies. That is nearly 60 per cent of the total number of inhabitants in the country and further illustrates the crucial role that the private sector plays in fueling the local economy. As of the end of the third quarter of 2018, the UAE is home to more than 338,000 non-government firms, according to Abdullah Al Saleh, undersecretary of the Ministry of Economy for Foreign Trade. Al Saleh revealed the figures during his speech at the First Arab Corporate Citizenship Forum in Abu Dhabi, state news agency WAM reported. “The private sector’s contribution to the UAE GDP grew five per cent to 70.5 per cent in 2018 in translation of the government’s growing interest in the sector, being a key driver of economic growth,” Al Saleh said. “The UAE is laying a particular focus on the private sector’s contribution to the National Innovation Strategy announced in 2015, which is based on accelerating R&D (research and development) efforts to address key challenges like water scarcity, climate change, waste recycling, renewables, food security, and others, in addition to empowering the sector to play a significant role in AI (artificial intelligence) applications,” he added. Al Saleh, however, did not specify whether the latest employment figures are higher than in 2017. Dubai's private sector growth had recently slowed down after posting robust activity in November. There is, however, a strong optimism among consumers about the state of their finances and the general economic outlook this year. 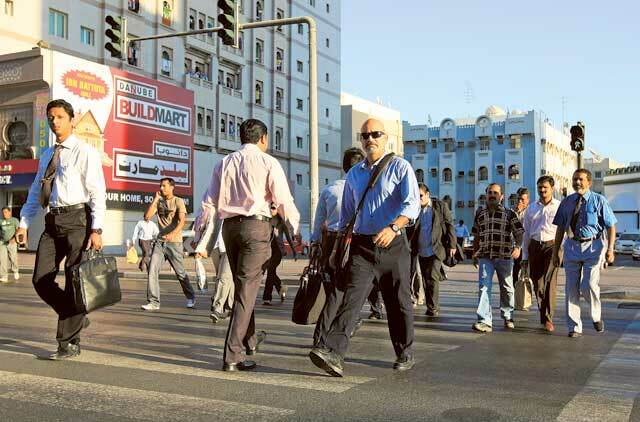 But, according to the data compiled by the UAE Central Bank, the number of employed people in the UAE increased from 4.9 million in June 2017 to 5 million in June 2018. During the same period, more than 60,000 individuals were hired across the country, with most of the vacancies offered in the construction, real estate and manufacturing sectors. Harish Bhatia, regional director for products at Korn Ferry Middle East and North Africa earlier told Gulf News that hiring for replacement and new jobs in the UAE is on the rise. “Services, food and beverage, logistics are all experiencing a net increase in employment, with new players entering the market constantly in preparation for the Expo 2020 and offer such major events in the near future,” Bhatia said.